We always like taking photos in locations that are meaningful to our couples. In this session Sarah and Shaad took us to the National Art Gallery in Ottawa. Behind the gallery there is some nice architecture as well as a really nice grove of trees which happened to be in full bloom. 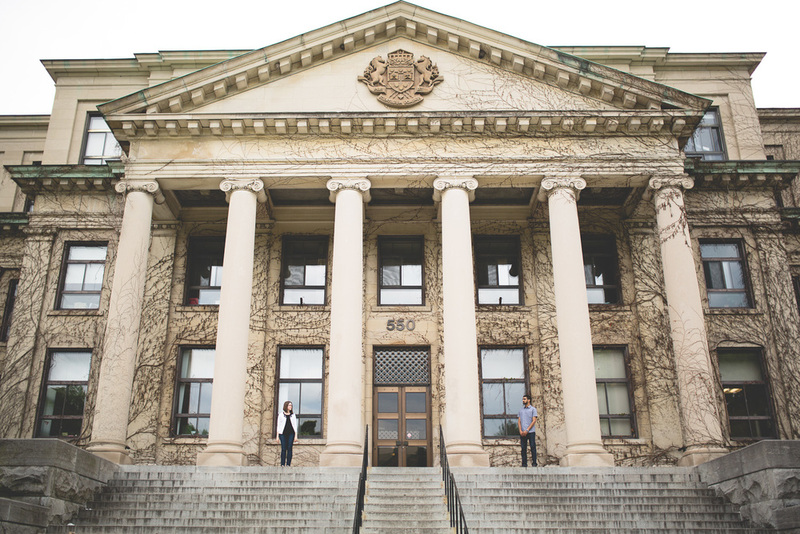 Architecture, apple blossoms and an amazing couple are a perfect formula for engagement photos. After the gallery, and the must have photo with the giant spider, we made our way along the Rideau canal to the University of Ottawa. Sarah and Shaad met at university and we got a chance to take some photos in meaningful places around campus.